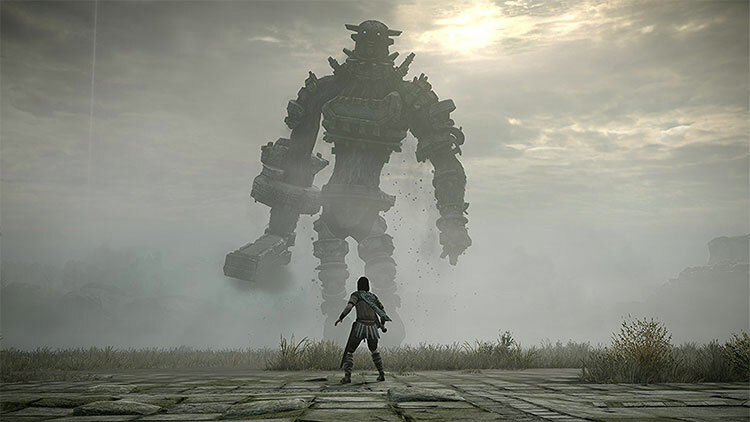 Rebuilt from the ground up by Bluepoint Games and JAPAN Studio, SHADOW OF THE COLOSSUS on PlayStation 4 system introduces the awe of its unforgettable world and towering creatures to a new generation of gamers, while allowing long time fans to revisit the beloved masterpiece with unparalleled visual fidelity and improved performance. Tales speak of an ancient realm where Colossi roam the majestic landscape. Bound to the land, these creatures hold a key to a mystical power of revival – a power you must obtain to bring a loved one back to life. SHADOW OF THE COLOSSUS is a breathtaking journey through ancient lands to seek out gigantic beasts. 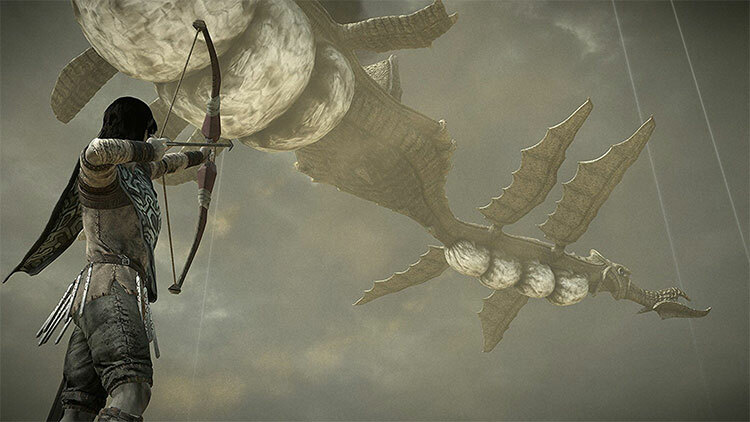 Armed with only a sword and a bow, explore the spacious lands and unearth each Colossus, presenting a unique challenge to test your wits, determination, and skill. Not to diminish the accomplishments of this remake, but it's all possible because Team Ico's Shadow of the Colossus is so impossibly perfect. It's epic and majestic and emotional and imaginative and breathtaking. There are so many superlative adjectives you could attach. Shadow of the Colossus' reputation is as great as some of its tallest colossi. This remake might just help some people see that a little more clearly. Shadow of the Colossus is one of the best games of all time and it has now received a truly worthy remake on PS4. There aren’t any major shifts in the gameplay or content additions, but the game needed neither. Instead Bluepoint has taken the original classic, upgraded the visuals, and only touched what needed to be touched. The improved, stable framerate is enough for longtime fans, but the gorgeous graphics allow the game to stand alongside more modern releases as well. Fans will want to have this on day one, and if you’ve never experienced the magic of Shadow of the Colossus before, this is the way to do it. 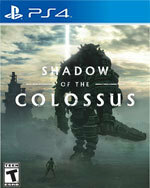 A game like Shadow of the Colossus is a must play for gamers of all stripes. Its age does show in its controls at times but even there the charm of it comes from the strengths of its overall package. It is a game that is timeless art, one worthy of not only of this great remaster, but of all the accolades it rightfully deserved in 2005. That praise alone, along with the never-ceasing challenges the game provides, is the highest recommendation anyone can give. Overall, this remastered version of Shadow of the Colossus is something I would definitely recommend experiencing, especially if you haven’t gotten around to it yet for some reason like me or were maybe too young to hop on the bandwagon the first time around. It is a flat-out beautiful title that must be seen to be believed. It can be both profoundly beautiful and anxiety-inducing at the same time. Just realize that while the looks are on par with modern releases, the controls and camera are still stuck in the past. As I toppled one colossus after another, I often found myself stopping in my tracks, awe-stricken by what was on display. I felt the rush- the exhilaration that came in those moments where I was clinging desperately to the colossus and as the sweeping melody washed over me like a wave, I knew that if I could have an experience like this on my fourth playthrough of a game, this was a masterpiece that did not need but rather, deserved a remake as expertly and loving crafted as this one. While it may lack the initial wow factor by way of being a remake, Shadow of the Colossus on PS4 does the original justice, and then some. It cements the legacy of Team Ico’s classic while bringing a few new things to the table, creating the perfect introduction to a masterpiece in design and understated storytelling in the process. What better evidence of this than the fact that, five years later, Sony’s big PlayStation exclusive of the season is this recreation of a PS2 classic. As wonderful a game as this is, the lesson mustn’t be that we need more games that look like this Colossus — rather, that we need games that feel like it: a decade later, pushing against what we expect from games, warts and all. Overall, Shadow of the Colossus is still a fantastic game that leaves frantic gameplay behind for subtlety. It has its action-packed moments, but if you’re looking for a game that’s mostly relaxed and drawn-out, with some action dropped in for good measure, you’ll enjoy this game. I will give Shadow of the Colossus the rare compliment that of its peers I can think of one remake that is comparable in quality. Only the remake of the original Resident Evil on GameCube so startlingly changed the visual quality of a game while still retaining all the aspects that fans love. Shadow of the Colossus for PS4 makes the original game and its PS3 remaster obsolete and is the version of the title to play from now on. For longtime fans, it retains the entirety of the original with nothing taken away, and for those who are playing for the first time, it has tight controls and smooth gameplay that makes it approachable. 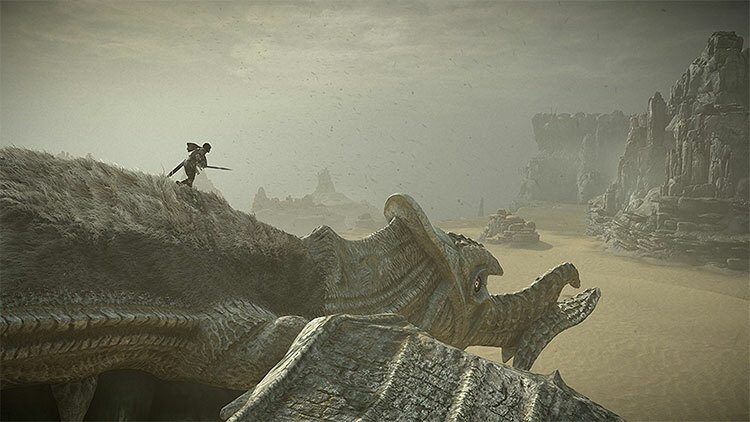 Despite a couple of minor quibbles, Shadow of the Colossus works on both its intended levels - as a returning nostalgia blast for those who remember it, and an enjoyable game for newcomers. The apparently disparate parts, those long journeys filled with solitude and massive boss battles, are tied together by a strong personality that develops and draws you in. It’s like poking around a house where someone died, looking at things you know are important but with no one left to ask why. Whether you’re climbing a colossus for the first time, or revisiting an old friend a decade later, the legacy lives on. Shadow of the Colossus is even more amazing today than it was when it first released, and earns itself a spot as a must-own for anyone with a PS4. I’ve never been as enamored with this game as I am in 2018. Bluepoint Games has successfully honored the original while completely making it their own, a balancing act that only the most devoted of fans could pull off. It’s awe inspiring. It’s colossal. It’s the perfect remake. It’s Shadow of the Colossus exactly as I remember it, yet it’s Shadow of the Colossus like it’s never been before. As a newcomer to Shadow of the Colossus, I probably take these improved graphics for granted. But a story is something that doesn’t rely on pixel count - and Shadow of the Colossus has one of the best I’ve experienced in a game. It’s packing serious technical chops and doesn’t get in its own way, allowing the player to find their own path. The minute to minute activities are undeniably simple, but there’s obvious intent behind it – creating a tight and focused package that somehow lets the player feel truly free. It’s a remarkable achievement, even ignoring the 12-year-old core design. When remaking a game, there are two general routes that developers can take. They can either elect to do a faithful recreation of the original game with modern technology or they can enact sweeping changes that turn the remake into an entirely new experience. Shadow of the Colossus is firmly in the former camp, but that’s not necessarily a bad thing. Bluepoint Games have made a gorgeous tribute to the original, all while ironing out many of its negative quirks in the process. I’ve often told others that Shadow of the Colossus would be on a short list of games that I would recommend everyone must play before they die and that rings truer than ever before after experiencing this remake. Bluepoint has always been held in high regard for the quality of their work on past remakes and remasters, but Shadow of the Colossus is now easily the biggest achievement that the studio has ever had and stands as arguably the greatest video game remake of all time. Shadow of the Colossus is a tremendous journey, and one well worth taking and retaking. The visual overhaul is stunning, thoroughly enhancing every facet of Wander and Agro's excellent adventure. Galloping through the tranquil world is always breathtaking; felling a monumental colossus is always humbling. Shadow of the Colossus is a beautiful reconstruction of an already exceptional title. It continues to be a modern classic and is an extraordinary game that everyone must experience. We’re lucky to live in a world with Shadow of the Colossus. 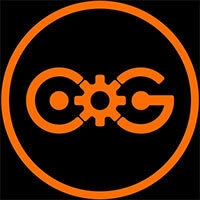 I hope that more people get the chance to play it now and that it goes on to inspire a generation of indie developers. But, more than anything, I’m just happy to play it again. One of the greatest games ever made resurrected in one of the greatest remakes of all time. Shadow of the Colossus remains faithful to the 2006 original, but its presentation is on par with the very best that the PS4 has to offer. A masterpiece. Once you've followed a cryptic clue and the more obvious beam of blue light, you'll eventually come to the area that will play host to your battle with the colossus that resides there. Each encounter is different from the last, and these huge, hulking creatures take many forms, each one requiring a different approach. These aren't battles against dwindling health bars, however, and it's probably more accurate to describe them as puzzles to be solved. Some of the most assured and emotionally engaging art and gameplay design ever seen in a video game. 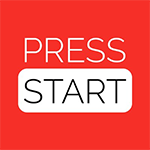 Excellent remake, with superb graphics and updated controls. If you’ve played the game before there isn’t really anything new here beyond the visuals. The gameplay mechanics and boss battles can sometimes seem a little too simplistic and repetitive. Shadow of the Colossus isn’t necessarily a game that needed to be remade in such an elaborate fashion, and yet, I’m so glad that it has been. Bluepoint’s remake of this sublime and poignant adventure is phenomenal, both managing to stay utterly true to the original and bringing it up to date in glorious fashion. Shadow of the Colossus is available on three generations of PlayStation hardware, but this latest version is the best. The splendid facelift here can't disguise some of its creakier gameplay, but if you've never played it, there's never been a better time to tackle Team Ico's signature game. There’s more reason to play Shadow of the Colossus than ever before. The presentation improves the incredible spectacle that the game is. The core gameplay can still be a little bit clunky at times, but the satisfaction from taking down the Colossus is greater than ever. At the cheaper price of admission ($54.99) that you’ll be playing for this game, it’s near impossible not to recommend it even if you’ve played it before. Cuando se estrenó en PS2 algunos cuestionaron la propuesta de Shadow of the Colossus por parecer demasiado sencilla al lado de títulos contemporáneos como God of War, Resident Evil 4 o Final Fantasy XII. Nunca fue un juego para todos, pero pronto se reveló como una obra con una capacidad excepcional para trascender a etiquetas o géneros. 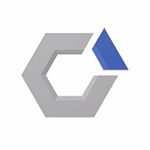 A su regreso en 2018, bajo una fachada espectacularmente reconstruida por Bluepoint Games, el clásico del Team ICO vuelve a medirse con juegos más grandes, variados, y tecnológicamente avanzados. SotC es una de las mejores aventuras de todos los tiempos, y con este remake se reafirma como una joya atemporal, que con PS4 muestra su mejor cara posible. Por si fuera poco, Bluepoint no sólo ha dado una lección de cómo hacer un remake en lo técnico, si no también a la hora de añadir extras que enriquecen la experiencia. Imprescindible. Mi experiencia con Shadow of the Colossus fue tan fascinante como la primera vez que lo tuve frente a mí y el paso de los años me ayudó a borrar algunos momentos épicos para que este nuevo viaje a sus campos de ensueño fuera una experiencia mágica una vez más. Vivir la experiencia de Shadow of the Colossus sigue siendo tan mágica, sorprendente y atractiva como lo fue en el año 2005 y el lavado de cara al que ha sido sometido nos hace sentir, todo el rato, ante un juego de nueva factura. 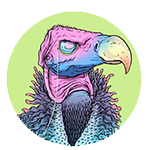 Tal vez los nuevos usos y costumbres del medio nos hacen sentir a veces ante un producto algo tosco y falto de contenido y muchos jugadores sientan que el juego no es para ellos, pero tuvimos la misma impresión con The Last Guardian y es un excelente juego del año pasado. Si Ueda hubiera desarrollado el juego en 2018, sería exactamente igual. Curiosamente, el joven Wander también vive atado al recuerdo de una persona muerta, obsesionado con traerla de vuelta del mismo modo que el propio juego ha vuelto a nosotros ya en dos ocasiones. Quizá por eso Shadow of the Colossus 2018 es, por encima de muchas otras cosas, una obra importante: porque ilustra y contiene esa relación tensa y tormentosa entre el jugador y el juego resucitado. El deseo de su regreso contra el miedo a que su resurrección nos confirme que nosotros, para bien o para mal, también hemos cambiado. Shadow of the Colossus para PS4 es un maravilloso despliegue técnico y un ejemplo de cómo es que se deben de hacer las cosas con el hardware actual. Ni una sola caída de framerate, bug o glitch notable se cruzaron en mi camino durante todas las horas que ya llevo con este título. Simplemente impecable en términos técnicos lo que se pone a nuestra disposición en esta ocasión.El tema de las reediciones de juegos siempre será polémico. Es ist unglaublich, wie intensiv sich dieses Shadow of the Colossus nach all den Jahren anfühlt. Das liegt nicht nur daran, dass dieses Remake zu den technisch besten der Videospielgeschichte gehört, so dass sich Kenner des Originals verblüfft umsehen werden: Die Kolosse wirken spektakulärer, die verwunschene Landschaft deutlich lebendiger, es gibt eine ganz neue Flora, Geheimnisse sowie Steuerungszusätze. Man reitet durch pompöse Schluchten, verwaiste Ruinen und an rauschenden Wasserfällen vorbei, um gegen Riesen zu kämpfen, die mit jedem Tritt die Erde beben lassen, springt vom Pferderücken auf fauchende Flugdrachen, die auf eine Achterbahnfahrt Richtung Himmel durchstarten. A moins de s'attendre à des combats de boss inédits ou des secrets supplémentaires, difficile d'imaginer un meilleur remake pour Shadow of the Colossus. Resplendissante à tous les niveaux et parsemée de petits ajouts appréciables, cette superbe refonte a fait notre bonheur et ne devrait pas avoir de mal à faire le vôtre, que vous connaissiez le jeu de base ou non. Si vous n'aviez pas craqué sur PS2 ou sur PS3 en HD, il est plus que temps de découvrir une oeuvre majeure du jeu vidéo. Si vous le connaissiez déjà, vous éprouverez forcément du plaisir à replonger dedans. Même si la maniabilité, la lourdeur du personnage (voulue) et la caméra sauvage n'ont pas eu le même traitement que la réalisation et demeurent par moments problématiques, on ne peut qu'applaudir le travail de restauration effectué par Blue Point sur Shadow of the Colossus. Shadow of the Colossus est toujours une expérience unique, digne du chef-d’oeuvre qu’il était en 2005. Véritable claque visuelle, il offre avec une constance prodigieuse des panoramas à couper le souffle. Les combats contre les colosses sont la définition même du mot épique, des David contre Goliath puissance mille renforcés par les merveilleuses musiques de Kow Otani. Aujourd’hui encore, il reste un moment exceptionnel que l’on vous conseille de découvrir ou de refaire sans aucune hésitation ! Shadow of the ColossusÉtant sans nul doute des fans de la première heure des travaux du game designer japonais, l’équipe de Bluepoint n’a en aucune façon retouché Shadow of the Colossus. 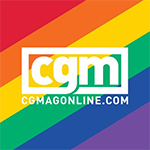 Il s’agit ni plus ni moins que du même jeu, dans les moindres détails, à la différence près qu’on peut aujourd’hui profiter d’une réalisation enfin digne de l’aura, la prestance que représente un tel monument du jeu vidéo. Shadow of Colossus para as consolas de nova geração da Sony marca o regresso de um clássico, levantando uma velha questão: Será que melhores gráficos tornam um jogo melhor? Esta experiência única invade os nossos sentidos, proporcionando uma viagem emocional inesquecível. Apesar de simples no seu conceito, é a meditação sobre o valor da vida e da necessidade de enfrentar os seus obstáculos que nos faz contemplar esta obra de uma forma diferente, mais poética. Shadow of the Colossus è una delle esperienze videoludiche più impattanti di sempre e questa nuova versione non fa eccezione. Chi non ha mai provato l'originale si troverà catapultato in qualcosa di unico mentre chi lo ha amato si ritroverà a casa, dopo alcuni attimi di spaesamento, trovando comunque qualcosa di nuovo per cui restare a bocca aperta. Come è ormai consuetudine nei giochi moderni, una volta terminato Shadow of the Colossus avrete accesso al new game plus e a delle prove a tempo a difficoltà standard e difficile, ma anche alla modalità “Mondo Speculare”, curiosa ma non poi così rilevante. Ciò che vi rimarrà scolpito nella memoria, però, è uno dei più bei videogiochi mai realizzati, e indiscutibilmente l’opera migliore e più ambiziosa di Fumito Ueda. Il lavoro fatto da Bluepoint Games dimostra la loro abilità e sapienza: sanno muoversi con il giusto tatto e consapevolezza, qualità necessarie per affrontare un titolo come Shadow of the Colossus dove nulla ai tempi fu lasciato al caso. Il remake è sorprendente e offre un alto grado di personalizzazione grafica dell'esperienza di gioco in base alle possibilità di ogni giocatore, dimostrandosi bellissimo da vedere... forse troppo. На PS4 же герой иногда оказывается даже более ловким, чем от него можно было бы ожидать. Нельзя сказать, что стало совсем уж идеально: бывает, лошадь заартачится и свернет не туда; бывает, камера не поймет, с какой стороны подступиться к герою, карабкающемуся по подмышке колосса. Но это мелочи — в целом играть в Shadow of the Colossus стало куда приятнее. Sonuç olarak Shadow of the Colossus zaten rüştünü ispat etmiş ve yıllarca aklınızdan çıkmayacak bir macera sunuyor. Oyunun masalsı atmosferinde kaybolurken bazı sahneler geliyor ki ağlamamak için adeta kendinizi zor tutuyorsunuz. Daha önce The Last Guardian incelemesinde de belirttiğim gibi Team ICO oyunlarını oynamış ve sevmemişseniz Shadow of the Colosus'tan da beklediğiniz hazzı almanız oldukça zor. Çünkü oyun size ne büyük bir aksiyon ne de komplike bir oynanış sunuyor. Aksine son derece naif bir hikaye ve oynanış ile karşılaşıyorsunuz. Shadow of the Colossus had deze remake nodig en BluePoint maakt zijn naam wederom waar als uitstekende port-studio. 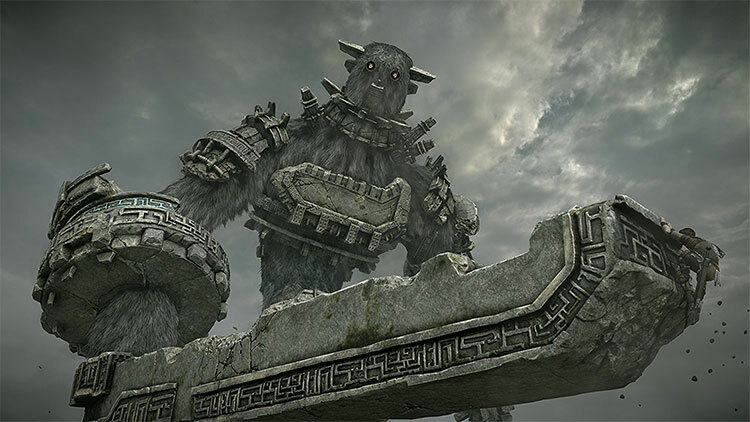 Niet alleen oogt en klinkt de game fantastisch, de studio heeft mijn langlopende klachten over framerate en besturing aangepakt: eindelijk speelt Shadow of the Colossus net zo indrukwekkend als het concept van het verslaan van de enorme colossi is. Een ervaring zoals je niet veel vindt, is Shadow of the Colossus voor PlayStation 4 de ultieme manier om van dit avontuur te genieten. En vanuit enkel dat kader bekeken heeft Shadow of the Colossus meer dan bestaansrecht. Daarbij zijn de colossi imponerend, geheel verschillend en worden ze op het einde behoorlijk uitdagend. Het is een prachtig scenario, maar dat neemt niet weg dat de game voor een remake iets te wensen over laat, en dat is een soepele gameplay. 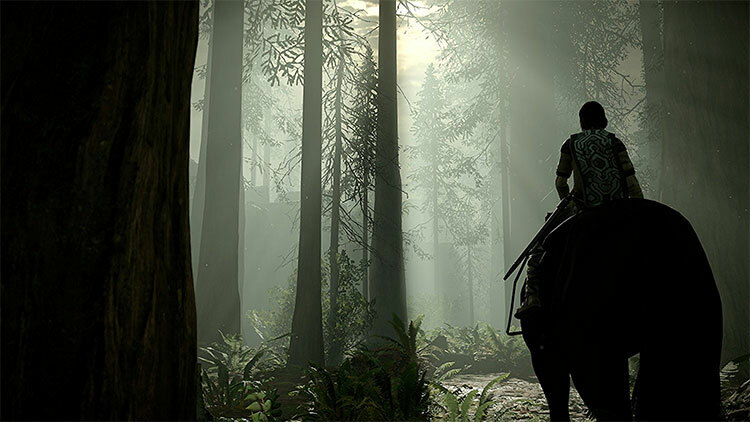 Shadow of the Colossus w wersji na PlayStation 4 było moim czwartym spotkaniem z tym dziełem – wcześniej dwukrotnie zaliczyłem edycję na PlayStation 2 oraz przetestowałem połowę wersji HD na PlayStation 3. Produkcję studia Team Ico uważam za jedną z najwybitniejszych gier szóstej generacji konsol. Dzięki solidnej znajomości tytułu dość dobrze pamiętałem sposoby na większość kolosów i ukończyłem remake w niecałe pięć godzin. Shadow of the Colossus w wersji na konsolę PS4 jest idealnym przykładem tego jak powinien wyglądać remaster gry. Nieprawdopodobne krajobrazy i ilość detali, przy zachowanym oryginalnym gameplayu, sprawiają, że tytuł ten prezentuje się zacznie lepiej niż przed ponad dekadą.